I have already provided way to “script all SQL Server Job automatically by SSIS and SMO” and today I come up with article which generates the script for all email operator in SQL Server instance by SSIS and SMO. Email Operator is one of the important configuration for DBA because of this operator I get to know the status of many different jobs and other important things. When I failover (manually or automatically) the server, I suppose to have same operator and hence I used to script it with me so that I can use the latest script in an emergency situation. 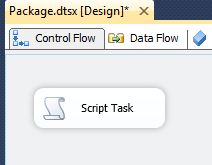 Let us now create one SSIS package which uses SMO script to generate the script of all email operator of SQL Server. I used to keep weekly schedule for this SSIS package in SQL Server Job Agent so that I have latest script of email operator every week. This entry was posted in Email Operator, SMO, sql server, SSIS and tagged Email Operator, SMO, SQL Server, SSIS on January 21, 2013 by Riteshshah.